Scott Cordova is your average Pennsylvania teenager. He’s got an annoying younger sister, a habitually absent surgeon mother, and an interest in the paranormal. So, well, maybe not so average, but still… follow me here. Scott spends every day surfing the hottest supernatural forum on the dark web: Paranormal Puzzles. 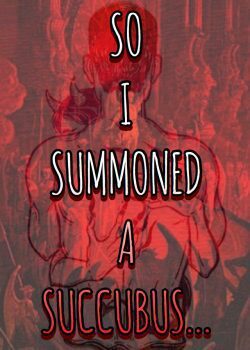 One day, he stumbles upon a mysterious post with a download link attached – the instructions to some kind of succubus summoning ritual? His curiosity piqued, the teen decides to try it out on a whim… and it doesn’t go as he expects.